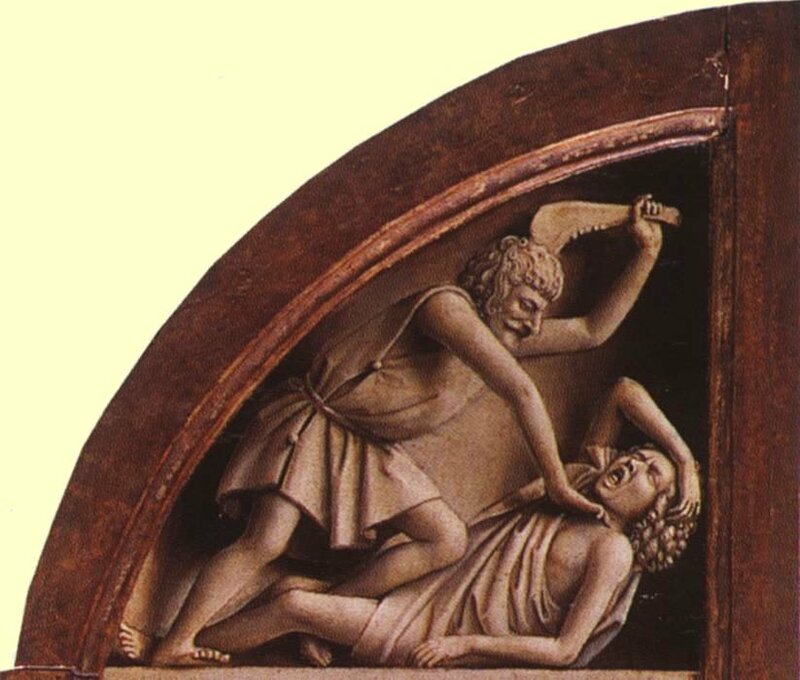 “Murder of Cain by Abel,” Ghent Altarpiece painting (1432), Jan van Eyck, January 6, 2007. (Paunaro via Wikipedia). In public domain. I’ve written about the infamous Estelle Abel in my blog on this date (or at least, this time of year) for each of the previous five years (see “My Last Day,” “The Last Class,” “AP Exam Blues,” “Honors Coronation,” and “Twenty Years in a Week” for the full scoop). She was the chair of Mount Vernon High School’s Science Department while I was a student there, and remain so for years afterward. As anyone should be able to tell from my previous posts on Abel, I have a bit of an ax to grind. More like a samurai sword, actually. The woman and her ten or fifteen minutes of berating me as both a student and as an un-Black young adult Black male ruined my last day of high school. Forgive me, then, for not being completely objective when it comes to the subject of Estelle Abel and her methods of teaching, motivation, and guidance on issues of academic achievement and race. Though I’ve also forgiven her, I’m not God, and with my memory, I can hardly forget. But if there had been any chance at forgetting, I lost that opportunity in a conversation I had with my late AP US History teacher Harold Meltzer back in the ’89-’90 school year. Estelle Abel came up as a topic because of something that had occurred with one of his AP students. Apparently, this particular student, a female basketball player, had made the decision to apply to some predominantly White institutions, and had left HBCUs off her application plate. And apparently, Abel had gone after this student for doing so, all but calling her a traitor to her race by taking the route that a majority of traditional African American students have been taking since the ’70s. 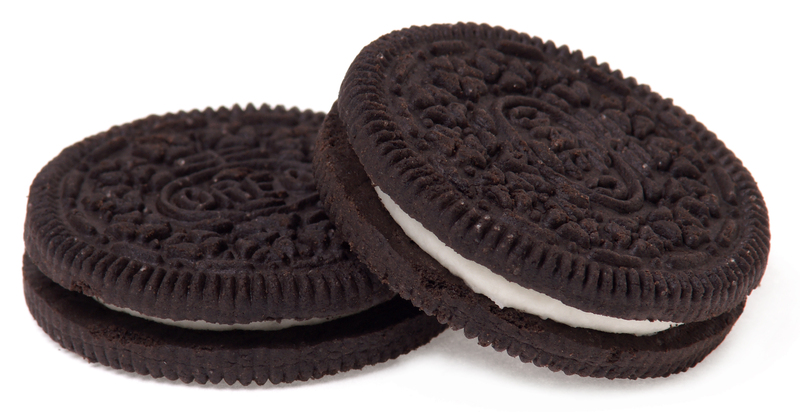 Two Oreo Cookies, February 7, 2011. (Evan-Amos via Wikipedia). In public domain. In all, it took Meltzer about twenty minutes to tell what would’ve been a five or seven-minute-story for the long-winded. That’s how much he could meander in the forests of his stories sometimes. Then I told Meltzer my Estelle Abel story from my last day of school. It sparked a conversation that I wasn’t quite prepared to have. One not only about Estelle Abel, but about the African American faculty at Mount Vernon High School in general. For most of the rest of the conversation, Meltzer was in full gossip mode, telling me things about individual teachers that I shouldn’t have known, and mostly have forgotten, thankfully. But I did say to him early on in this part of the conversation that I really didn’t know much about the Black teachers at MVHS. The reason was simple. I didn’t have a single Black teacher as my teacher in four years of high school. Humanities classes — particularly the Level 0 and Level 1 classes — had few, if any, Black teachers, much less any teachers of color. I didn’t say that exactly, but it was the essence of what I said and thought about while Meltzer yammered on about the disunity among MVHS teachers. To think that from Ms. Simmons’ math class in seventh grade at A.B. Davis Middle School until my history and Black Studies classes my junior year at Pitt, I’d gone without a single African American teacher or professor. I knew that some of the blame fell squarely on the shoulders of my guidance counselor Sylvia Fasulo, Humanities coordinators, MVHS’ leadership and the Italian Civic Association. But how much of this was my fault, being so myopically focused on grades, college and getting away from 616 and Mount Vernon, I didn’t know. After all, I learned in the middle of my senior year that Dr. Spruill taught a Black history class, that there had been efforts to bring in more Black teachers and other teachers of color at Mount Vernon High School dating back at least four years. 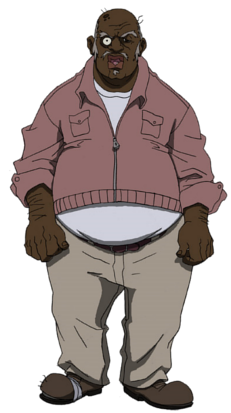 Uncle Ruckus screenshot, from Aaron McGruder’s animated TV series The Boondocks, July 4, 2011. (Grapesoda22 via Wikipedia). Qualifies as fair use under US Copyright laws because of picture’s low resolution. Still, none of that really mattered to me that year. I had already and unsuccessfully attempted to thread the needle between a cushy senior year and a year that prepared me for the rigors of college. Anything else, whether it was Black history, a trip to West Africa or a visit to some HBCU campuses, was hardly on my radar. Whatever my lack of focus could be construed as in ’86-’87, it wasn’t because I wasn’t Black enough, or ashamed of being Black, as folks like Estelle Abel implied or accused me of in their thoughts and words, and with their eyeballs that year. Sure, I was weird, and readily admit to being weird, aloof, and emotionless in my MVHS days. But given the hell that I lived with at home and in that community in my last years in Mount Vernon, weirdness and a focus on getting out through college should’ve been applauded, or at least tolerated, without teachers like Abel staring at me as if I was demon-possessed. That it wasn’t tolerated was the real shame. It took me years to get over it, that uncomfortability of being judged by other Blacks as too smart, too weird, too un-Black in their eyes for my own good.